The fight to sustain planet earth has gone beyond the responsibility of just a few to the responsibility of all inhabitants. Diminishing energy sources, limited human resources, pollution, and other environmental concerns sit at the top of the to-do list of every country across the globe. Experts have awakened to the need to sustain planet earth and unearthed little hacks that would play a role or two in the sustenance of the environment. 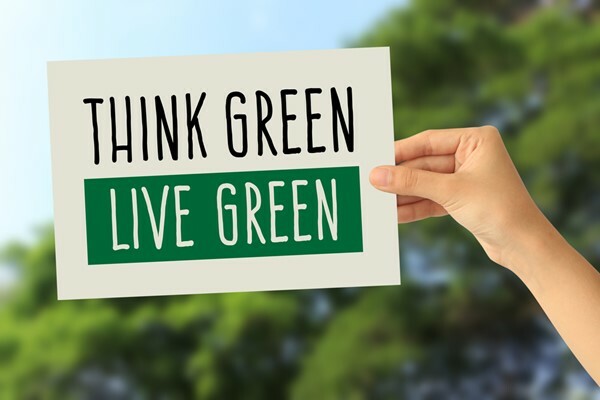 Fortunately, going green does not have to cost you much money or time. Little hacks to your daily routine can add up quickly to a substantial change in the ecosystem. Here are three little green living hacks that can help you protect your family and the environment. A report from the United States Energy Information Administration stated that an average American home incurs about $112.59/month as electricity bill. Worse, this ridiculous amount does not include natural gas and other transportation costs. To reduce the excess energy consumed in your home, experts advise that you opt for EnergyStar-rated appliances designed to complete the same task with a minimum amount of energy. Replacing the traditional incandescent bulbs with light-emitting diode (LED) and compact fluorescent lamp (CFL) bulbs is yet another good way to save energy and protect the environment. LED and CFL provide many advantages over incandescent bulbs. LED and CFL bulbs utilize seventy-five percent less energy than do traditional bulbs—and, they emit less heat as well. Furthermore, they last longer than incandescent bulbs, which means saving the environment and a few bucks too. Yes, water covers seventy-five percent of the earth, but our homes use only about one percent. A large percentage of earth&apos;s water resides in oceans and is too salty for at home use. A substantial amount of earth&apos;s water, located in aquifers beneath the ground, is also inaccessible by humans. Unfortunately, human activities pollute the small percentage of clean water made available for use daily. And the unpolluted fraction does not have a means for conservation, which is why experts recommend high-efficiency showerheads designed to save up to three thousand (3,000) gallons of water per person each year. Adding energy-efficient fixtures and light bulbs to your home can increase its value. Ask your local realtor about high-efficiency homes available in your area.